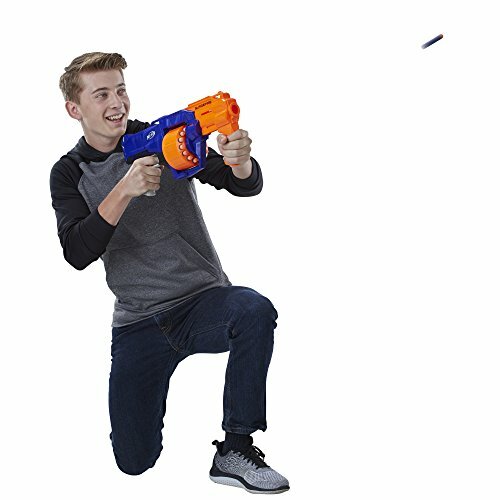 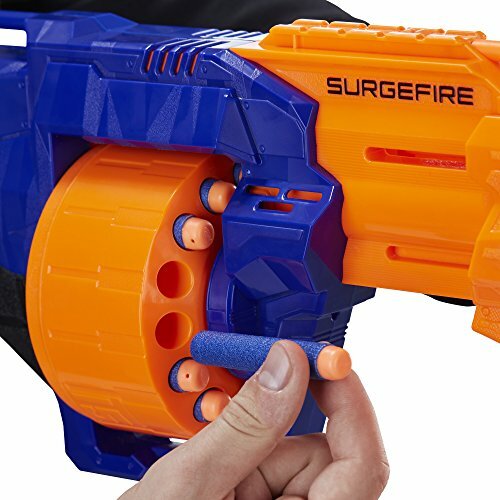 Slam the competition with a surge of 15 darts from the Nerf SurgeFire blaster! 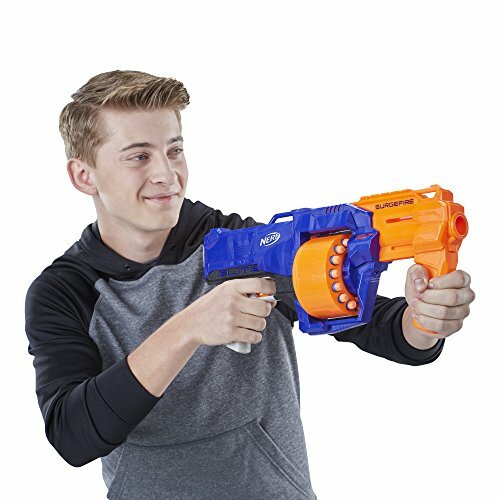 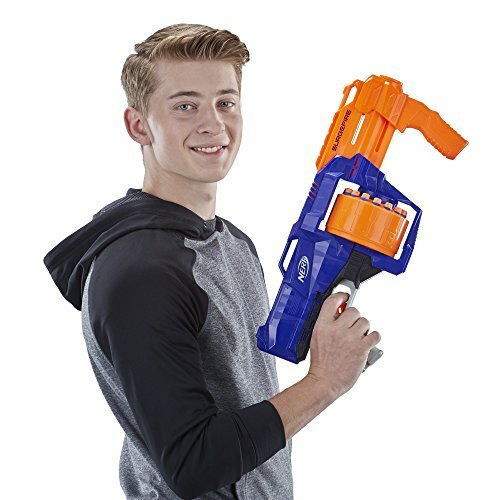 This N-Strike Elite blaster has a rotating drum that holds 15 darts. 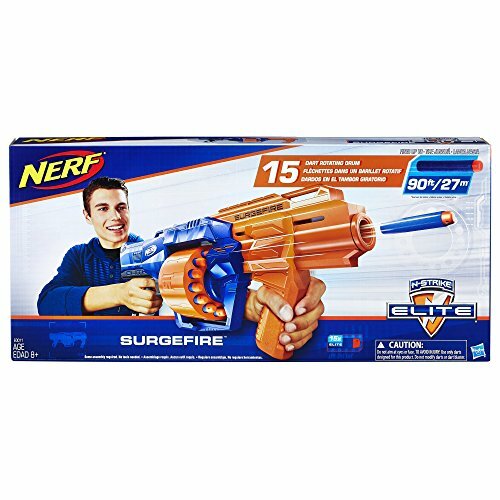 Choose a target and blast 1 dart a time, or slam-fire all 15 darts rapidly to pour on the firepower. 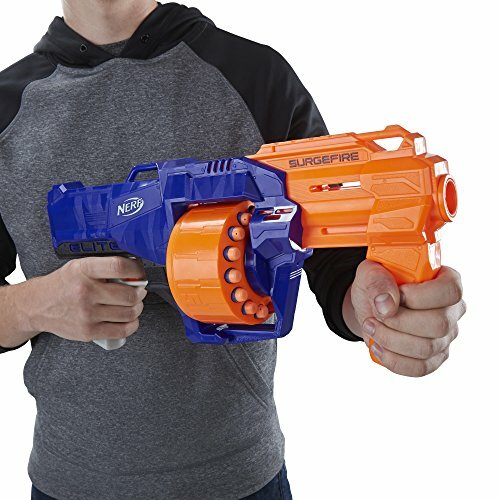 This pump-action blaster launches darts up to 90 feet (27 meters), so surge into battle and take control of the action! 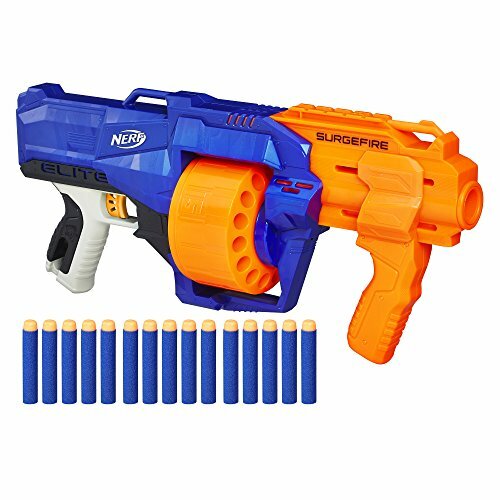 Includes 15 Elite darts.